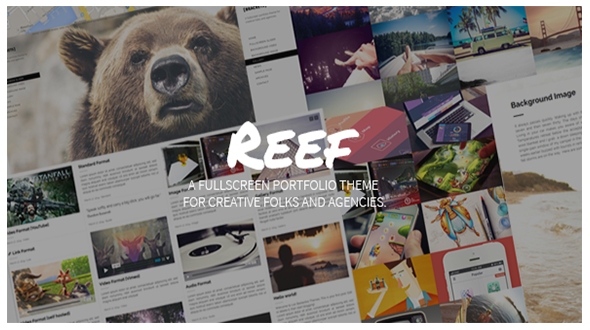 Reef is a unique fullscreen & fully responsive theme, perfect for creative folks, agencies, photography, portfolio, personal website. By emphasizing your photos, videos and content, it showcases your work in an amazing way. Easy to manage, also comes with a fullscreen blog, supporting post formats and several custom page templates to spice up your website and your business. Reef has built with latest WordPress features. Responsive Design: your website will be displayed beautifully on any kind of device (desktop, tablet, mobile phone). All images used in the demo are not distributed with the theme. They are all licensed and credited to their respective creator/owner.